Visiting the sulphur baths in Tbilisi is a definite must-do when you’re in the city, especially if you’re in Tbilisi in October to March when it’s much colder. It is a really enjoyable experience but it pays to know a few things before you go. We had a look at six different bathhouses in the Abanotubani district of Tbilisi and used two of them. So here is what we found out about prices for the Tbilisi sulphur baths, what you need to bring with you, what they look like inside and exactly what goes down when you’re in there! Many years ago, the King of Georgia discovered the sulphur springs in Central Georgia and decided to build a city surrounding them. And so, Tbilisi (warm place) was born. These days the sulphur springs are somewhat of a tourist attraction and many people visit daily for a soak, scrub and traditional massage beneath the domed roofs. 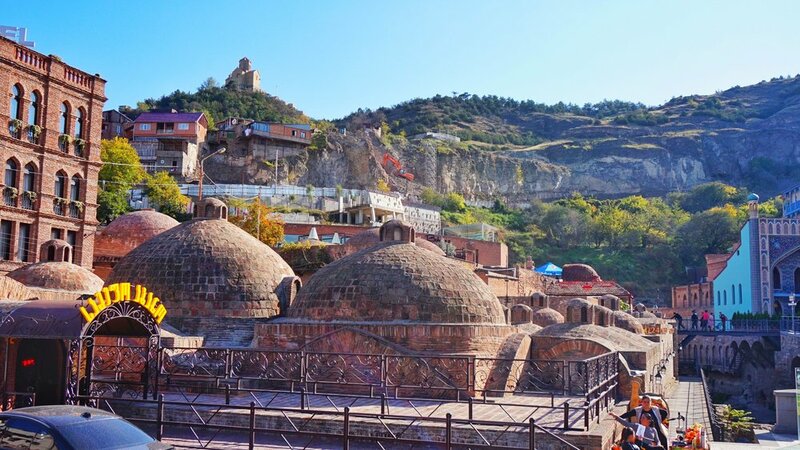 If you're a fan of sulfur baths Tbilisi is a great place to get your fix. Where does the hot water come from? What are the benefits of sulphur baths? Besides being incredibly relaxing and making you feel toasty on a cold day, sulphur baths are also believed to treat skin problems such as eczema and dry scalp. They are also said to help with arthritic joints, digestion problems and even insomnia. I have minor acne and definitely noticed improvements after visiting the baths and Max’s dandruff also disappeared for a few days. 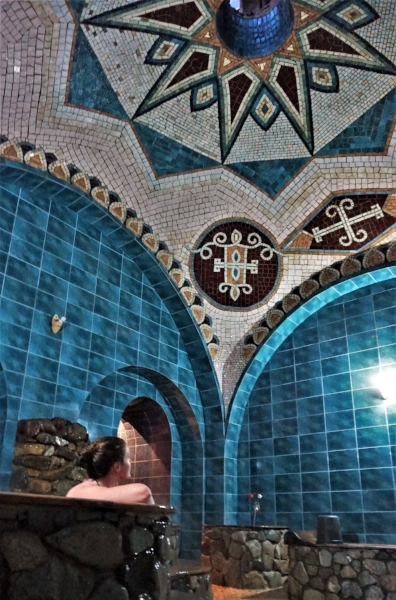 Which Tbilisi bathhouse is the best? There are around 10 bathhouses in the Abanotubani area. The Tbilisi bathhouses all have private rooms of varying standards, sizes and prices. Your best bet is to take a wander around the area and ask to look at some of the rooms. The staff are quite happy to show you the options before you make a booking. You’ll probably take a photo of this place before you even realise it’s a bathhouse. The beautiful mosque-like exterior leads to a series of newly restored private rooms. This place runs a slick operation with English speaking staff, quick turn-around and new facilities. Definitely a top option. This is the oldest and most traditional of the Tbilisi bathhouses, or so we’ve been told. The entrance is crowded with locals and the staff are a lot less interested in customer service but the rooms are beautiful. They have recently been retiled with stunning mosaics and the more expensive rooms (100GEL) are very luxurious. This place came highly recommended and we liked the look of it. We almost went but ended our route at No.5 so stayed there. Gulo’s has clean, spacious rooms and friendly staff. This look of this place is less traditional as it’s not set underground. But the staff were very helpful and professional. The rooms had no special mosaics or decoration but were clean and the massage offer sounded much more thorough than the ‘rub down’ received at the other places. This is another well-known one as the entrance is right on the main square in the bathhouse area. The rooms were all taken when we went to look so we didn’t see inside. But the entrance area gave off more of a brothel vibe and we weren’t too keen to check it out any further. It has good reviews online though. The ‘budget’ option had big signs offering rooms for 30GEL, however, we saw the signs have recently been changed to 50GEL. These rooms were much more rundown but in the end it’s just sulphur water so if you’re on a budget you could give it a go. However, the cheapest rooms at Orbeliani are much nicer and no more expensive. 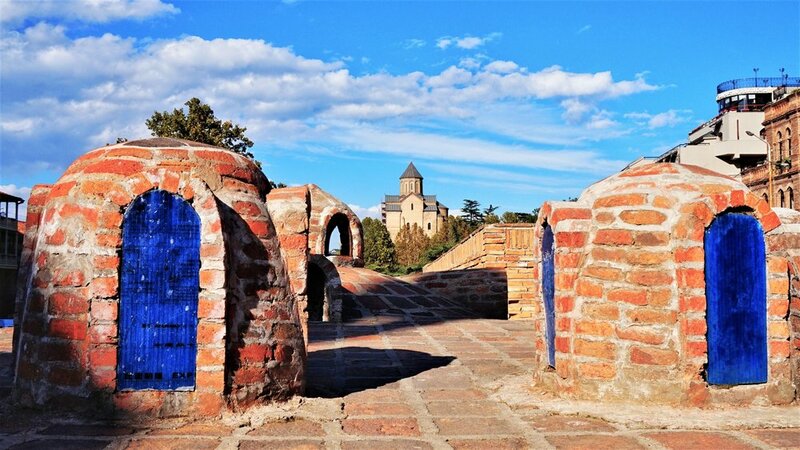 How much do the Tbilisi sulphur baths cost? This totally depends on your taste and which room you decide on. For a clean, spacious room with a pool, table and chairs, toilet, shower and massage stone expect to pay around 60-80 GEL. If you want to splash out and have a sauna, a cold pool and more space there are rooms for 100-120 GEL. The budget rooms often don’t have a seating area or are more rundown. Remember this is per room per hour so if you go as a group this becomes much cheaper. What happens inside the bathhouse? You’ll be shown to your room and left to your own devices. We used the rooms naked but if you feel more comfortable in swimwear then go for it. The doors lock from the inside so there’s no issue with people coming in. If you booked a scrub and massage they usually come after about 20 minutes and knock on the door. Be aware that it can be a man or a woman regardless of who they will be massaging. I had a male masseur but he was completely professional and I had Max in the room as well. Had I known before he turned up at the door I might have asked for a woman but in the end, it didn’t really matter. The masseur will ask you to lie on the stone slap and scrub you down with a coarse exfoliating mitt. It doesn’t exactly hurt but it’s not pleasant and you do lose a huge amount of dead skin! After the scrubbing they fill a pillowcase-like sack with soapy mixture and cover you in soap suds, this was my favourite part. It smells like baby shampoo and with shiny new skin, you actually feel a bit like a baby getting washed! The massage varies depending on the baths and the masseur. My first one was more of a brief back rub whereas my second one was more thorough and included legs and arms. Altogether the scrub and massage process lasts 10-15 minutes and will leave you feeling incredibly refreshed. Some places offer an extended massage option so if you want a proper treatment just ask. What do you need to bring to the sulphur baths? Just yourself! If you want to save money you can bring your own towel and soap. Make sure to bring or buy a bottle of water, it gets really hot in there and dehydration isn’t fun. You can take cameras with you. If you want to chill for a while bring a book, you can read about all the best bookshops in Tbilisi here. So there you have it, everything you need to know about visiting the sulphur baths in Tbilisi. You're ready to soak, scrub and sulphur yourself to relaxation and experience a Georgian tradition that dates back centuries. 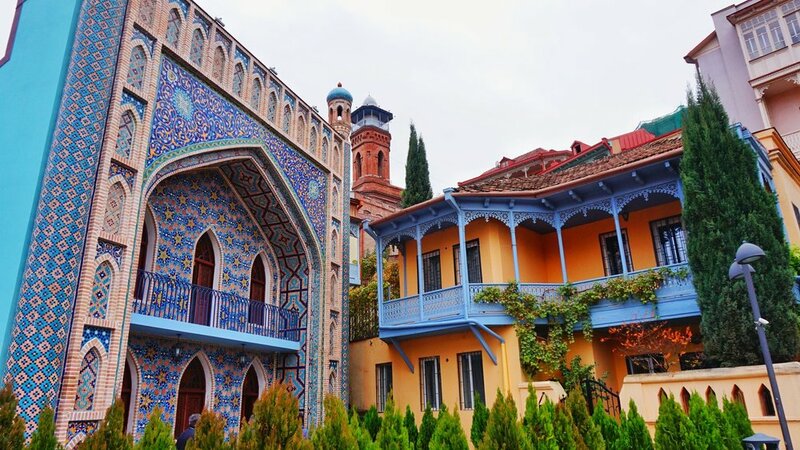 If you're looking to stay in the old town near the baths, then check out Old Meidan Tbilisi hotel. If you're looking for a more budget friendly option look at the cosy double room, comfortable dorm rooms and free pancakes at Pushkin 10 Hostel. If you prefer a cosy apartment, check out Airbnb. Get your $30 discount on your first booking here!